Summary: agriculture in the Euphrates valley in Iraq faces severe water shortages and other serious challenges. We are again grateful to Greg Shapland for this posting. He is a writer on politics, security and resources in the MENA region. He was Head of Research Analysts in the FCO from 2010-13 and is now an Associate Fellow at Chatham House. Together with Egypt, Iraq saw the first use of irrigated agriculture: the kingdom of Sumer in the lower Euphrates valley had adopted the practice by 3,600 BC. 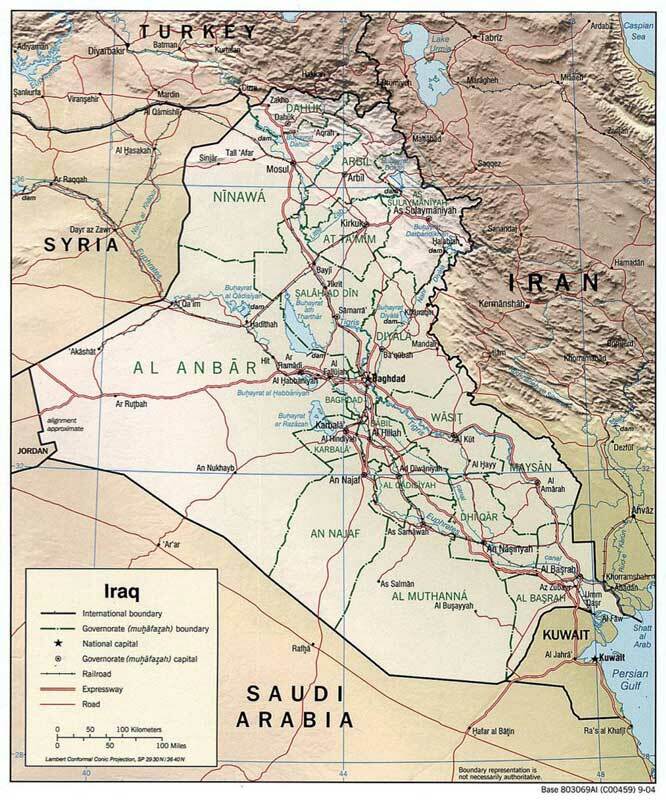 The country which is today Iraq was known to the ancient Greeks as Mesopotamia, which means the land between rivers – the rivers in question being the Tigris and Euphrates. We looked at the challenges to Iraq’s supply of Tigris water in our post of 26 May 2017, “Iraq and Turkey: What impact will the completion of the Ilisu Dam have in Iraq?” In this post, we consider the serious decline in agriculture in the Euphrates valley which has been brought about by reduced water flows and other factors. After government and oil, agriculture (mostly irrigated) constitutes Iraq’s third largest employer and contributor to the economy. The Euphrates valley make a substantial contribution to the output of the country’s agricultural sector: the Euphrates supplies water to 30% of Iraq’s irrigated area. However, we may be only a decade or so away from the collapse of agriculture in the valley, mainly but not only because of a growing shortage of water. With its population expected to reach over 44 million by 2025, Iraq will have to spend more on importing food and create more jobs for those no longer able to find work in the agricultural sector. The decision by the Iraqi government to ban the planting of rice and other summer crops this year in the Euphrates valley gives some indication of the seriousness of the situation. One Iraqi expert has predicted that, in the not-too-distant future, there will be no water at all during the summer in the Euphrates, something he says will constitute “an environmental catastrophe”. The impact of reduced flows of water in the Euphrates has been exacerbated by pollution. The cause of this pollution is mainly the drainage of water back into the river, following its use for irrigation in Turkey and Syria. This has made the Euphrates in Iraq much more saline – and so no longer usable for some crops. The Saddam regime, preoccupied from 1980 with the war with Iran and then with the consequences of Iraq’s invasion of Kuwait in 1990, was unable to negotiate effectively with Turkey. The same has been true of the post-Saddam governments, mainly because of the need to give priority to dealing with successive insurgencies. It is easy for Iraqis to blame Turkey for its water problems. But that is not the whole story and Iraq could certainly be more efficient in its use of the water it has. For the most part, irrigation in Iraq uses the method of flooding fields with water. This method is highly inefficient (only about 40% of the water reaches the crops). More efficient irrigation systems are available but costly to install. Moreover, the government has not done what it might have done, by building more dams and filling existing dams, to make the best use of what water is available. And although Iraq is earning handsome revenues from oil exports ($40.35b in the first half of this year), there are many other demands – especially post-conflict reconstruction – on government funds. In addition, widespread incompetence and corruption in government mean that such funds as are theoretically available for agriculture do not always reach the right places – something that is true of many other sectors as well. (Iraq is the 172nd out of 183 countries on Transparency International’s Corruption Perceptions Index.) Insurgencies and insecurity have been important factors in damaging and then holding back the reconstruction and modernization of infrastructure in the Euphrates valley (as elsewhere in Iraq). A report on agriculture and development in Iraq, published in 2014, identified “… several urgently needed actions”, involving “improved agricultural technology and management, including improved soil watering and nutrient management practices, new agricultural technology for harvesting and postharvest processing, and improved seed varieties. They also include improved water harvesting, greater irrigation efficiency, and expanded implementation of modern irrigation projects—with particular emphasis on modern drip and spray irrigation systems that rely on solar power.” The report also called for “improving infrastructure and market information systems”. Very little seems to have been done so far to implement these recommendations. Until they are put into practice, agriculture in the Euphrates valley in Iraq will remain on the critical list.